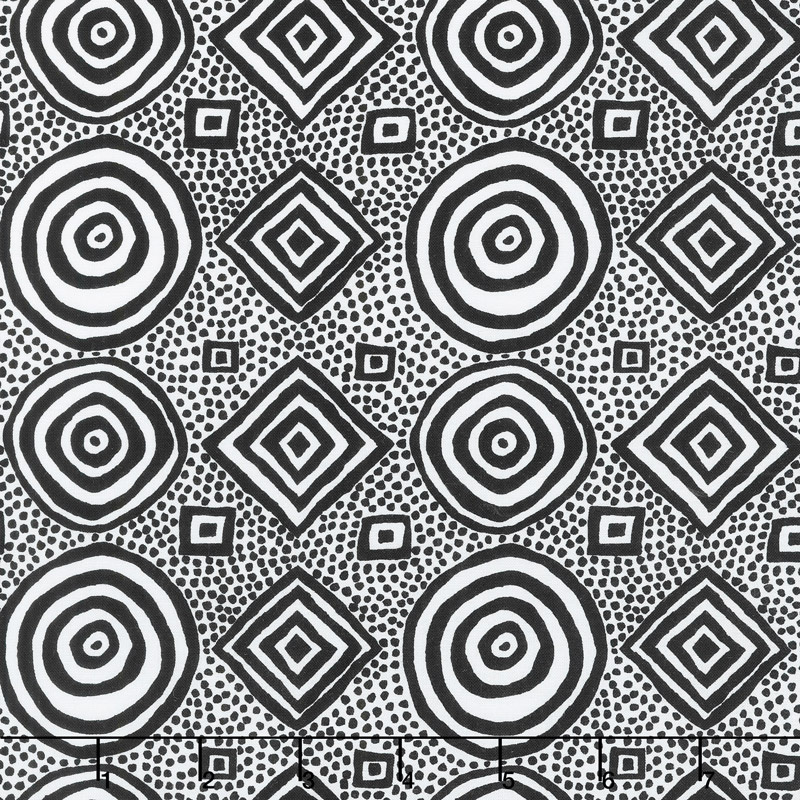 Concentric black and white circles, squares, and diamonds arranged in a grid, surrounded by tiny black dots on a white background. Spring has sprung, and Kaffe Fassett is back again with the flashiest colors of the season! Enjoy brilliant colors, florals, and fantastic patterns all in Kaffe's signature style.